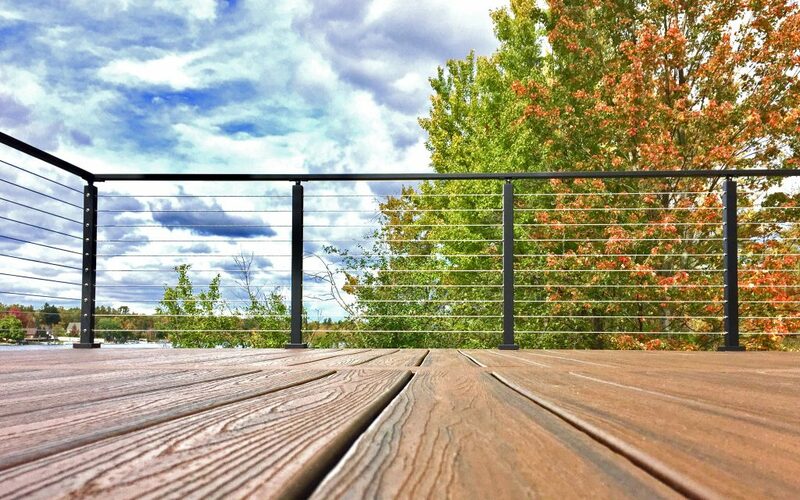 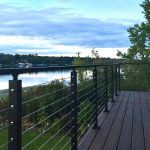 This cable railing system features aluminum posts and handrail with black powder coat. 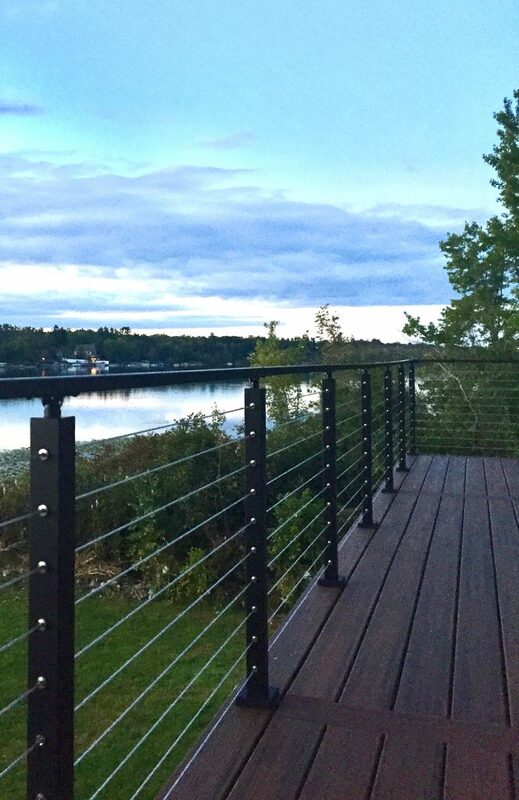 Aluminum is a great, durable material that is perfect for this lakefront application. 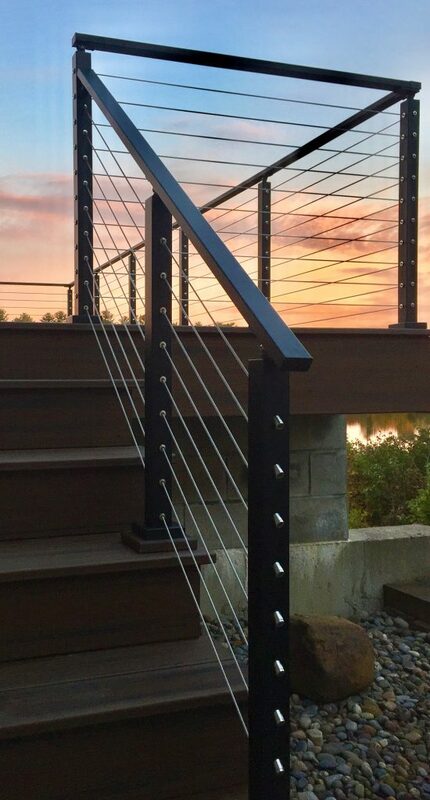 This exterior cable railing is beautiful on its own. 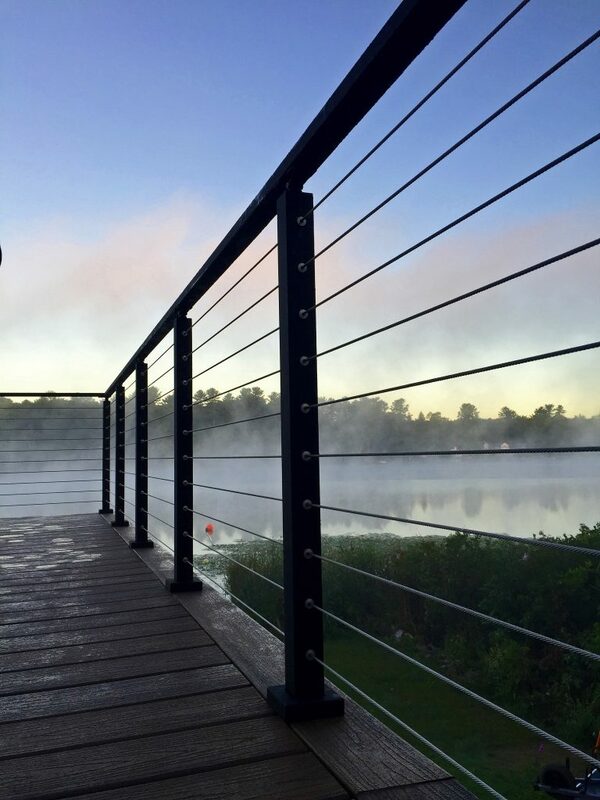 However, with the natural view shinning through the cable, the system becomes even more stunning. 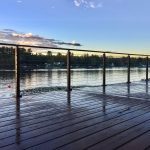 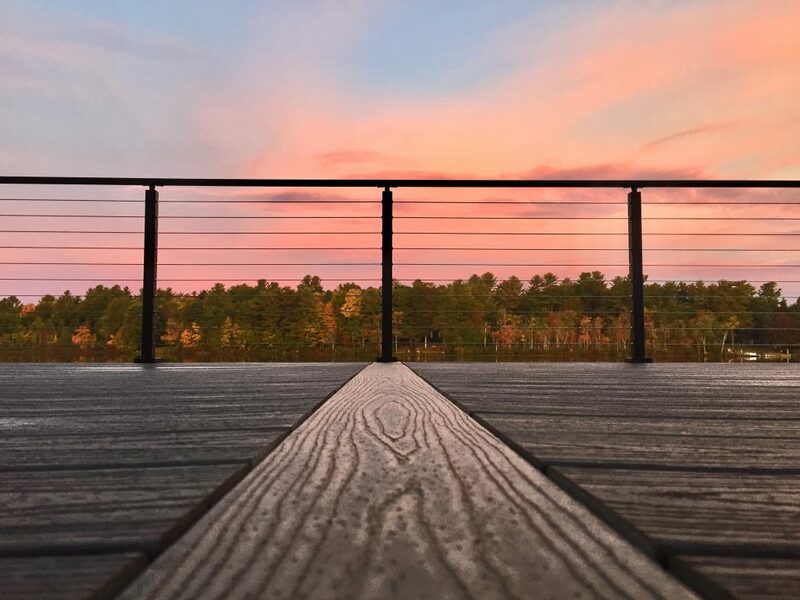 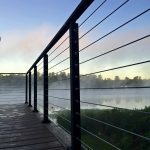 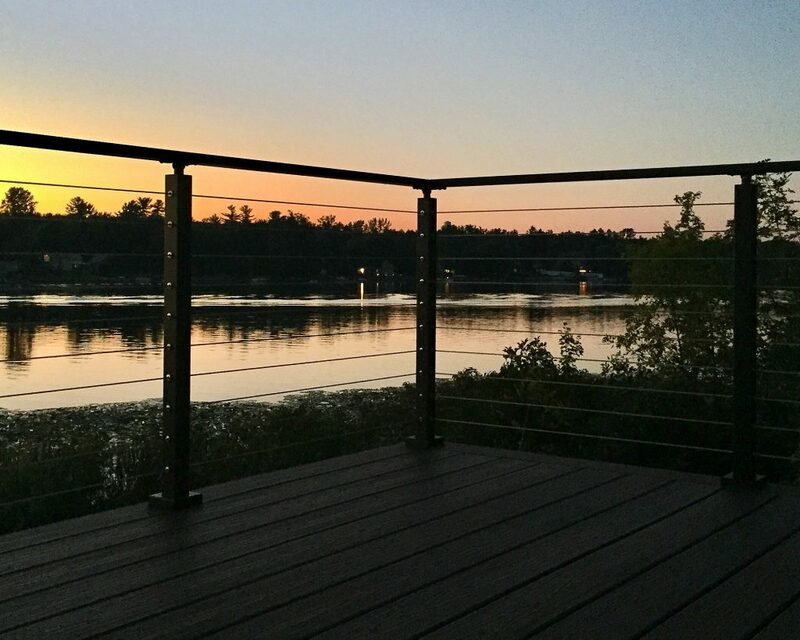 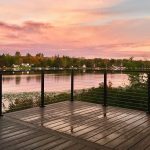 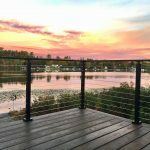 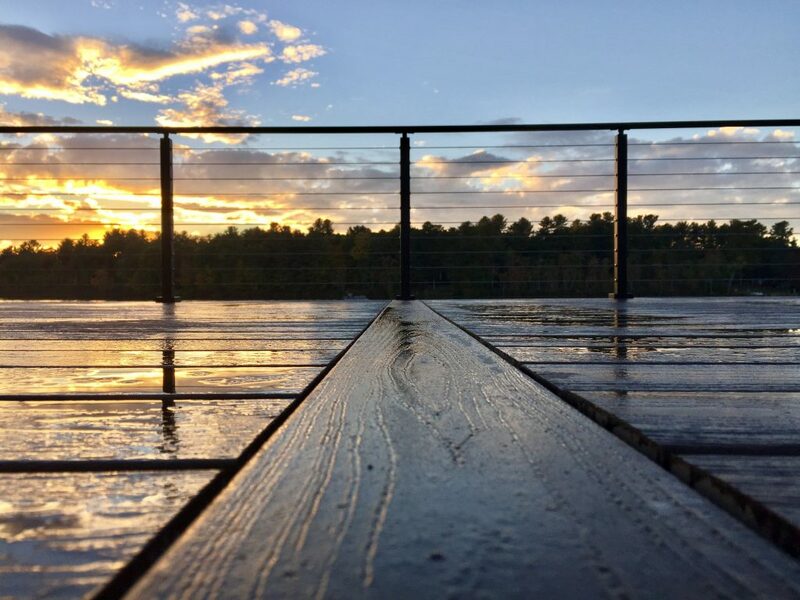 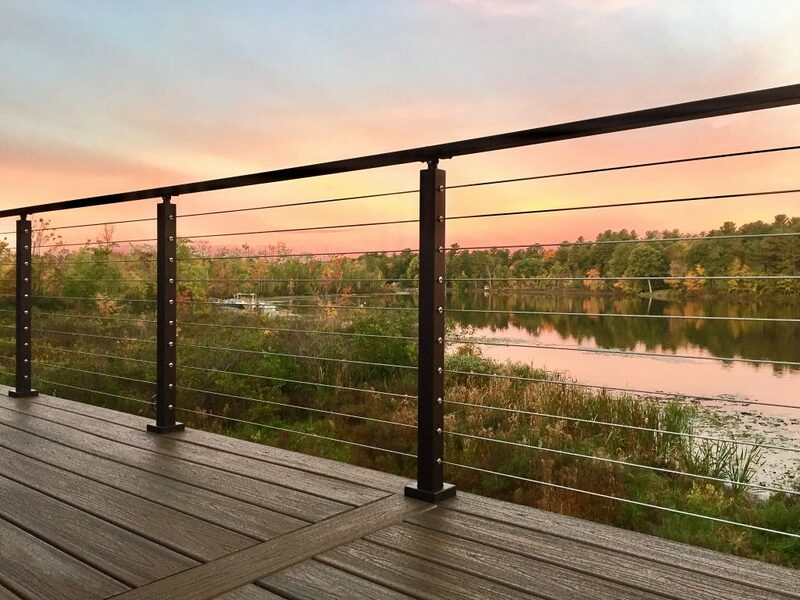 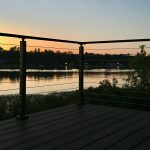 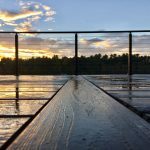 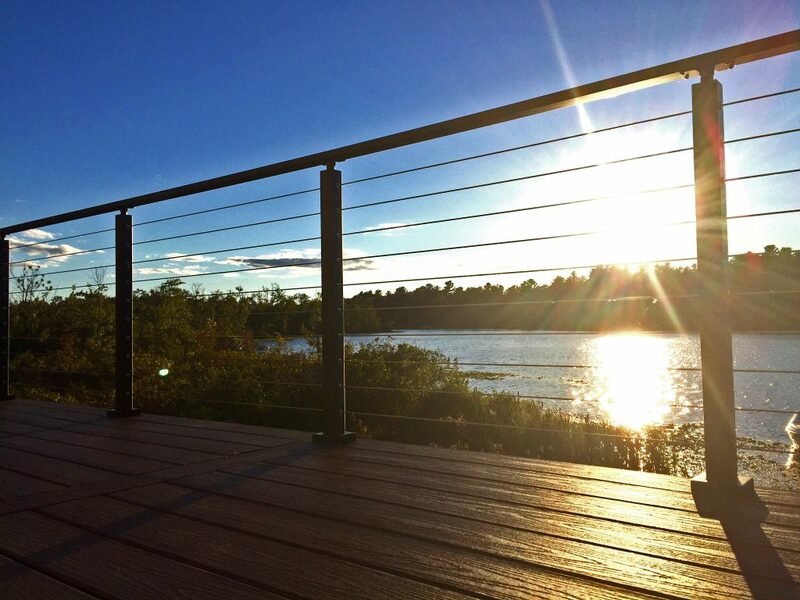 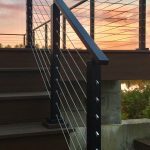 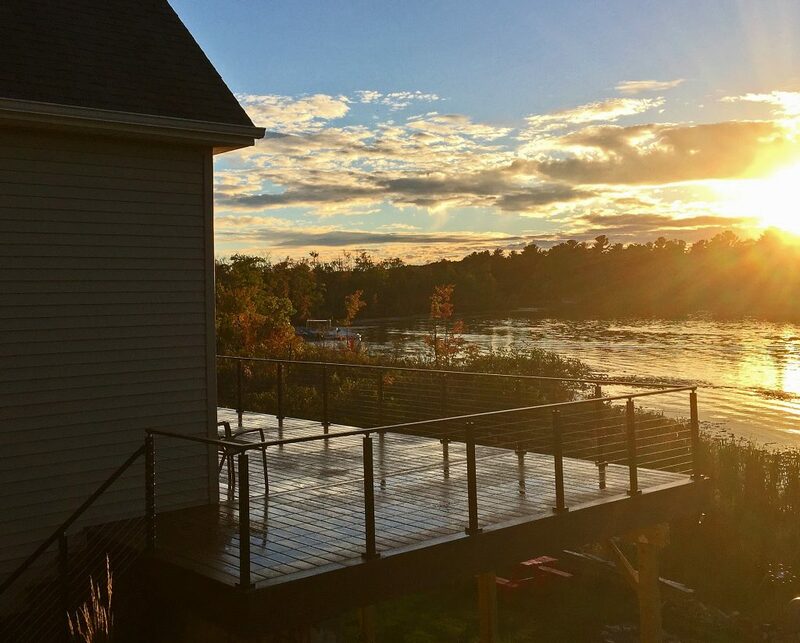 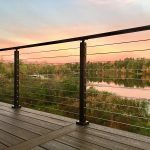 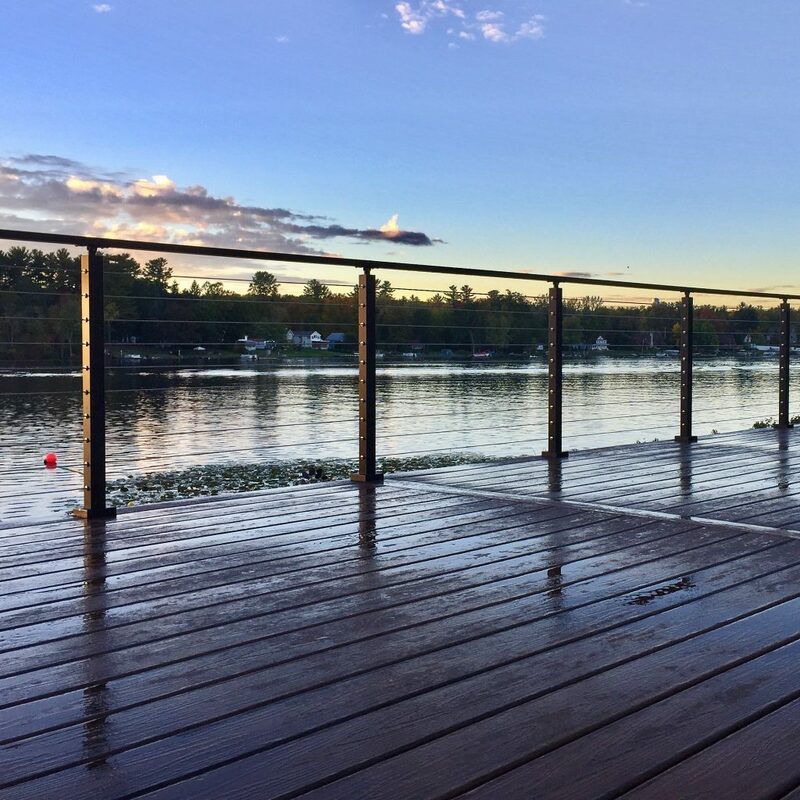 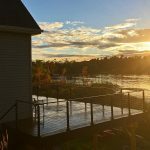 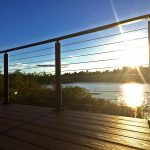 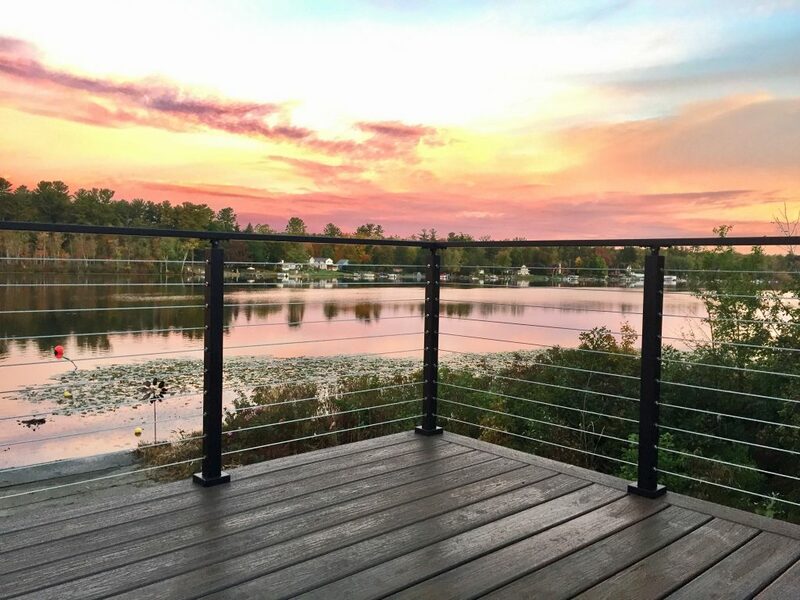 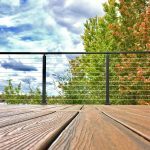 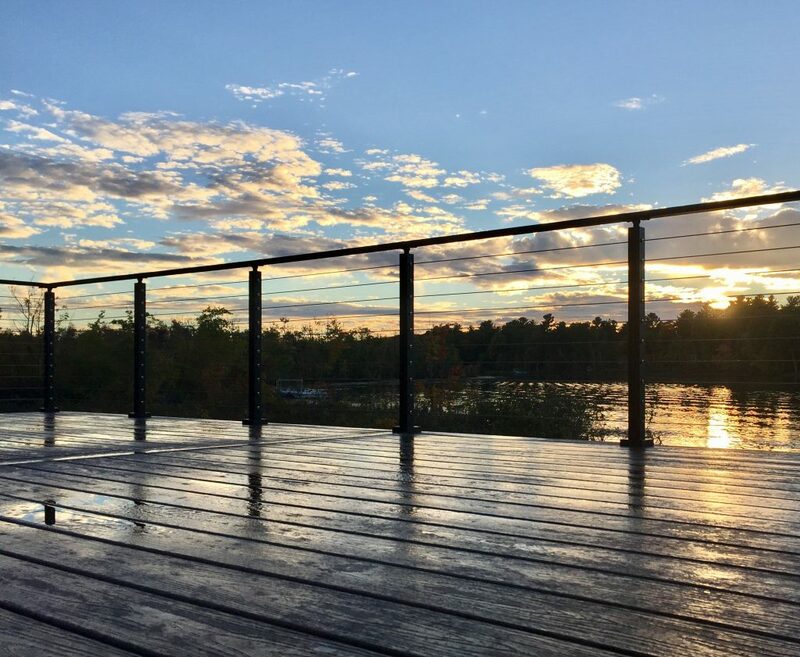 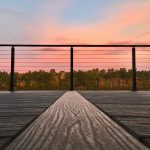 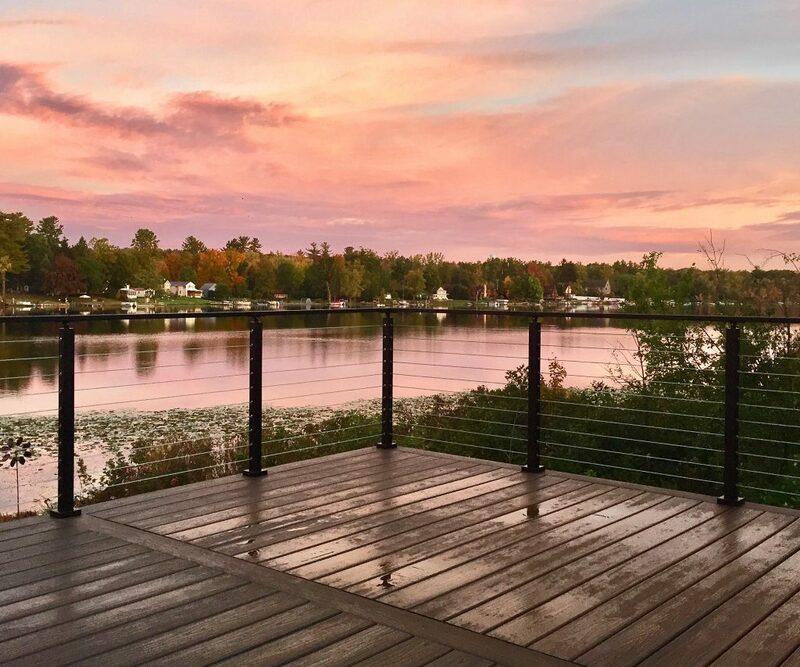 Due to the lasting strength and beauty of our cable railing, this customer has many more unobstructed sunset views to look forward to.